If you have a fuel or water tank that is either metal or colored plastic, you may have run into the same problem I had: How do you know when it’s empty? Mechanical level gauges are nice, but not always practical or even possible. 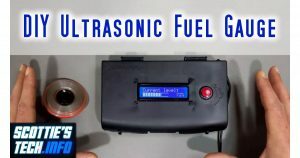 So, I went on the hunt for an ultrasonic level sensor for my fuel tank. Alas, what’s available on the market is too expensive, not very reliable, and often goofy in terms of features. So I decided to build my own! 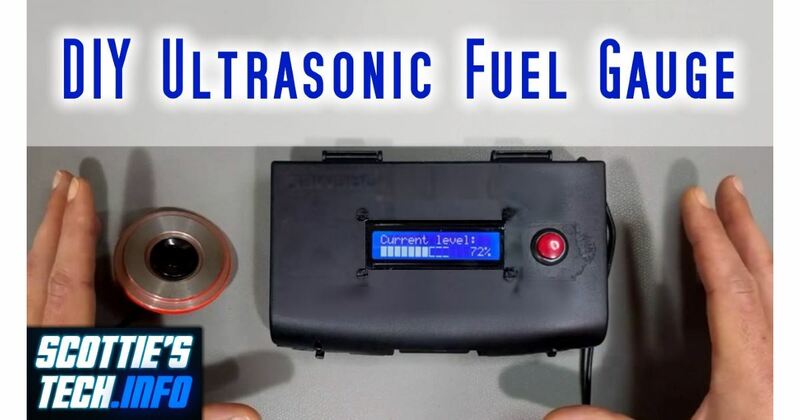 This ultrasound fuel gauge can be built for around $33 using a breadboard, Arduino Uno, and one of 2 different ultrasonic transceiver modules designed for use with Arduino or Raspberry Pi boards. The ultrasonic transducer has some electronics onboard. You supply 5V DC, and there are two other pins: TRIG, and ECHO. The reason for tankEmptyDepth is obvious from the diagram above, but tankFullDepth might be a bit of a mystery. 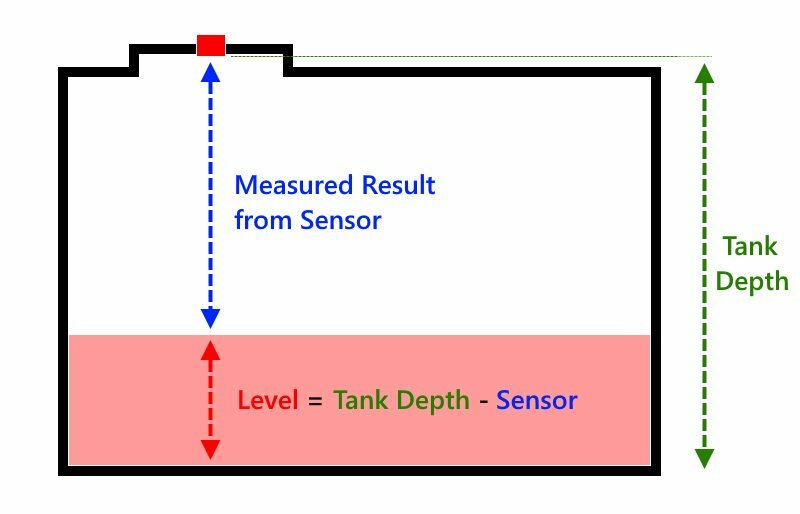 If you look at the image above, you’ll notice that when the tank is full, the liquid level will still be below the sensor – maybe by about 15cm. 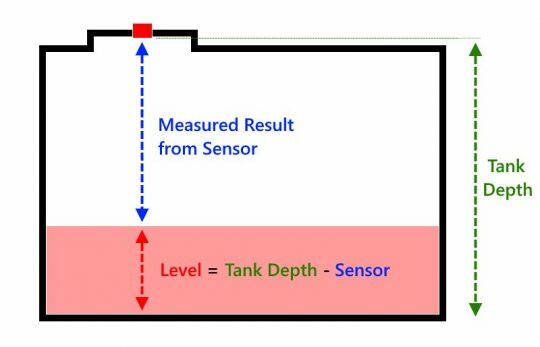 So, tankFullDepth allows you to specify this distance between the sensor and the liquid when the tank is full. Long story short, if you do the math, you’ll discover that with tankFullDepth incorporated into the calculation, you get a more accurate measurement! Note also that you can set the tankEmptyDepth to less than your actual measurement (I used a heavy nut on a string). The idea here is that if you subtract, say, 10cm off this value, then the level measurement will show 0% when you still have 10cm of liquid left in your tank… sort of like an “emergency reserve”. This is all re-explained in greater detail in the commented source code, which you can download below! As I mentioned in the video above, you have your choice of any “Arduino-standard” ultrasonic module. If you want maximum accuracy but without the waterproofness, you can just use the very common HC-SR04 that comes in many Arduino starter kits. Also keep in mind that if you use the JSN-SR04T as I did, your “tank full accuracy” will probably be very bad. This ultrasonic sensor module is “blind” below 25cm. In my particular case, my fuel tank is 163cm deep, and the sensor will be about 15cm away from the fuel after the tank is filled. Since the JSN module is blind below 25cm, I will need to use 10cm of fuel before I get an accurate reading. It’s a small price to pay IMO for the waterproof and easier-to-mount sensor! Once you’re done building, you’ll need some code to make it go! You can either visit my GitHub repository, or download the .INO directly. This was my first project using an Arduino, so I kept it rather simple. 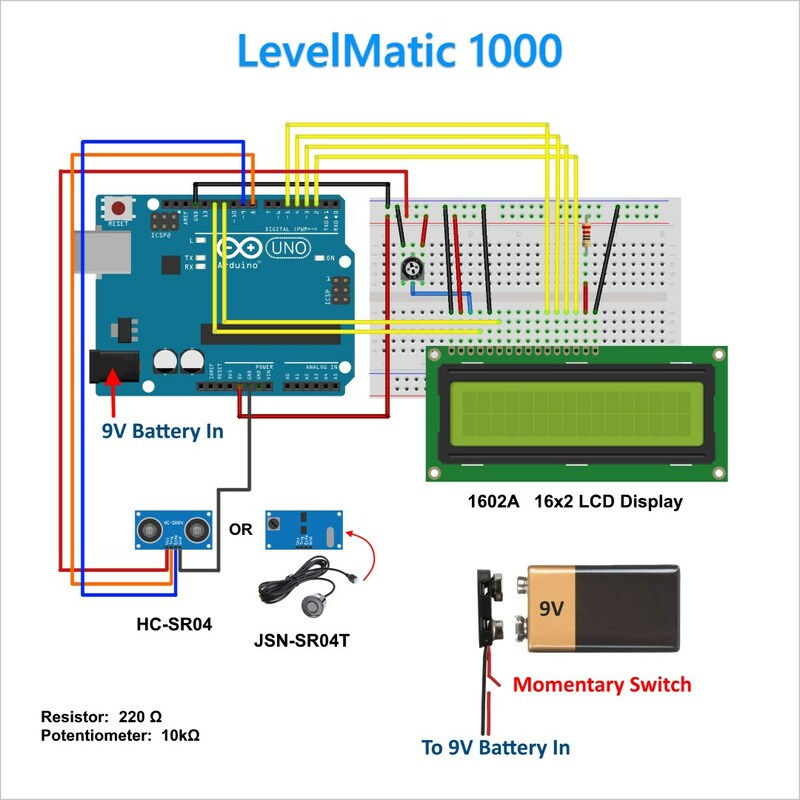 There is a bit of a learning curve to figure out how to connect the Arduino to your puter, how to flash code, etc. Like I said in my video, it looks daunting at first, but if you’ve ever done ANY programming at all, you will quickly find it’s far easier than you think! ← Slow copy speeds with USB 3? No problem! 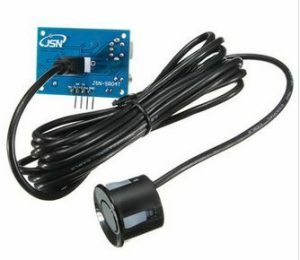 I’m building one but it’s a couple of projects down the road but I just ordered the waterproof sensor. What I’m doing to compensate for the 25CM is to use a pipe above the oil tank input so the sensor sits higher above the tank. I’m also programming it in assembly using an Atmel TINY2313 chip. THANK YOU FOR YOUR SHARING. CAN U GIVE ME THE CODE FOR ARDUINO. Thanks for all the info but in your schematic you have what I presume is a pot with a blue wire from the center pin what is the value of this pot ? What is the value of the resistor ? Is this the full instructions ? if so how do you make the adjustments to depth ?? Resistor and potentiometer values are in the LevelMatic 1000 schematic image (see lower left-hand corner of image). I also explain the depth adjustment in the article. You have to look at the code and adjust it accordingly. Hi, is the tool that you can work on the palm oil tank? I want to make a home project, can you give a suggestion ? It should work for pretty much any liquid in a tank – as long as the tank is not pressurized and the empty space is just air. GROOVY!!! Glad it’s working well for you. Yes, it should be fine. I’m using it for a “heating oil” tank, and heating oil where I live is literally diesel with red dye in it!